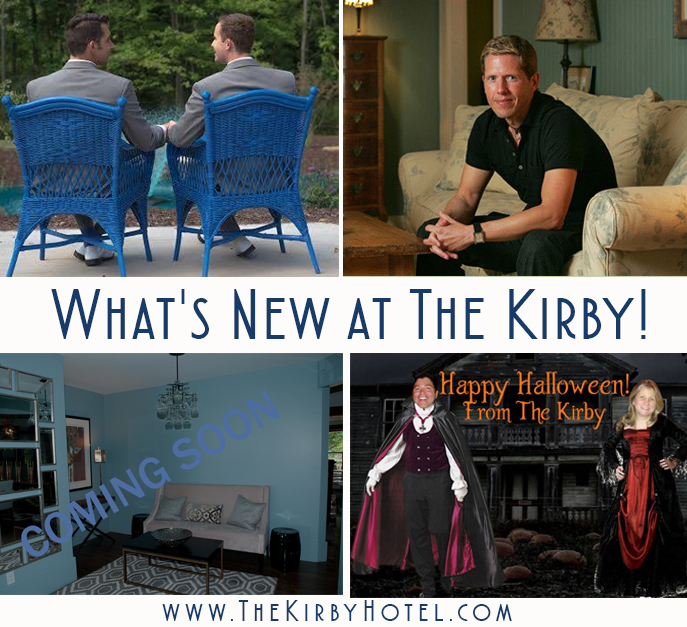 What’s New at The Kirby! As you can probably tell from the flurry of activity on our Facebook page, we’ve got lots of exciting stuff going on here at The Kirby & J. Paul’s and we want to make sure that you, our wonderful guests, know all about it so that you don’t miss a single thing! Like many of you, we like to start our weekends a little early. In fact, we’ve been known to refer to Thursday as, “Friday Eve” around here. So we thought we’d celebrate the weekly arrival of the 2nd to last day of the work week with happy hour! Each Thursday from 3:30 till 6pm, we’ll offer fantastic specials on delicious snacks and drinks, and each week we’ll feature a different theme. We love to incorporate local, seasonal ingredients into everything we make, so you can expect themes that are inspired by the flavors of the season. For visiting guests spending a long weekend at The Kirby, this is a great way to kick off your stay, sample some of J. Paul’s most delectable treats and meet a few of the fun J. Paul’s regulars. And for our treasured locals, it’s the perfect opportunity to get acquainted with new friends and ease your way into Friday. Keep an eye on our social media pages to find out each week’s special happy hour theme. 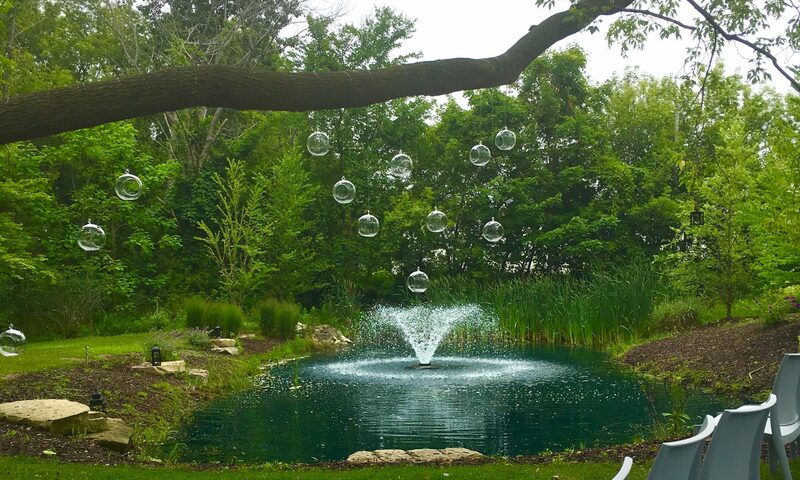 To celebrate the ArtPrize festival and competition in nearby Grand Rapids, we’re offering a special room rate! When you purchase a deluxe room Monday-Wednesday until October 11, you’ll get a second night on the house, with your gourmet breakfast included. Give us a call or drop us a line any time to book your stay. The Kirby is not just a hotel and gourmet restaurant – we’re also pros at hosting weddings and other very special events. The brides and grooms who have said, “I do’ here love the fact that we provide everything couples need, from the catering to guest rooms and so much more. Learn more about celebrating your perfect day at The Kirby here. We’re proud to present The Blend, a luxurious and private 2-bedroom suite that’s just recently become ready for guests. Located on the top floor of The Kirby, this suite has two premium queen-sized bedrooms that each have their own flat-screen television and independent temperature settings. Learn more and get a look at the suite here. In case you didn’t know, we’re major Halloween fans. So when the spookiest time of the year rolls around, we’re serious about celebrating. And luckily, so is our hometown of Douglas. Come carouse with us by attending our annual Halloween-themed dinner that includes a special frighteningly delicious menu. Then, head over to the Douglas adult costume parade and finish your night back at J. Paul’s with our Witch’s Brew after-party. We are incredibly honored to be hosting a writing workshop with acclaimed author, Wade Rouse on November 7. The workshop will not only put you on the road to achieving your writing dreams, but you’ll also have a great time while you enjoy a meet & greet reception, gourmet lunch, a sommelier-guided wine tasting, delicious dinner and refreshments throughout the day. Learn more about Wade and the workshop here. See, we told you there’s a lot going on! But it won’t be nearly as fun without you, so mark your calendars and set aside some time for fun and relaxation at The Kirby and J. Paul’s.